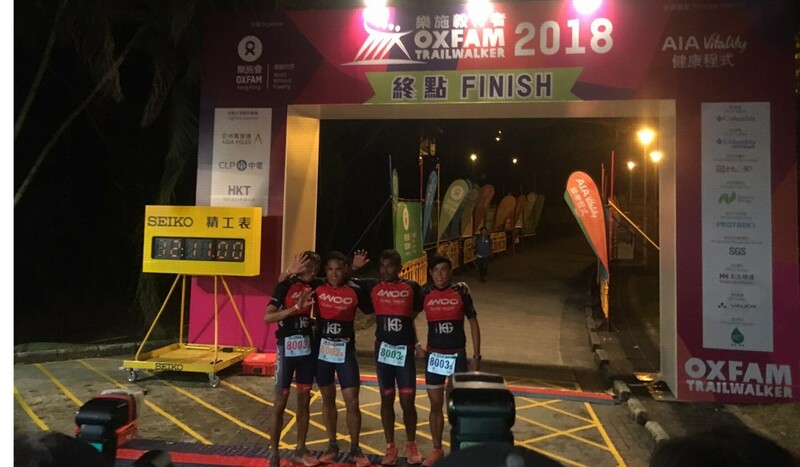 A Hong Kong team won the Oxfam Trailwalker (OTW) beating the two-time champions from Nepal. The Gone Running-Joint Dynamics team looked like they had given themselves too much to do when they were 30 minutes behind Team Awoo Nepal after 35 kilometres, but they clawed their way to first place. Gone Running-Joint Dynamics team comprised John Ellis, Jeff Campbell, Brian McFlynn and Michael Skobierski. They crossed in 11 hours, 53 minutes. OTW is Hong Kong’s oldest ultramarathon, starting in Sai Kung and taking runners 100km across the New Territories. Awoo have won the last two editions without a close challenger. At checkpoint three, Gone Running were half an hour behind Awoo, but by checkpoint seven they were only eight minutes behind, then three minutes at checkpoint eight. They were still one minute behind at checkpoint nine, the final checkpoint. Campbell had never run 100km before. He collapsed over the line and, overcome by the moment, began to cry. It is common for the elite teams to have support runners or pacers. Top runners accompany them for sections of the race, but Gone Running were moving so fast, most of their support team could not keep up. One of the only pacers left with them on the final section, Justin Andrews, eventually had to pull out and lie down. The four men were running at 4.5 minutes per kilometre after 90km of racing. Ellis, a stalwart of the Hong Kong running scene, said the victory ranked top of his list, especially as he got to share it with close friends. Skobierski usually runs with a rival team, Hong Kong Sports Clinic, but was asked to join Gone Running for the race. McFlynn has only run one other 100km. 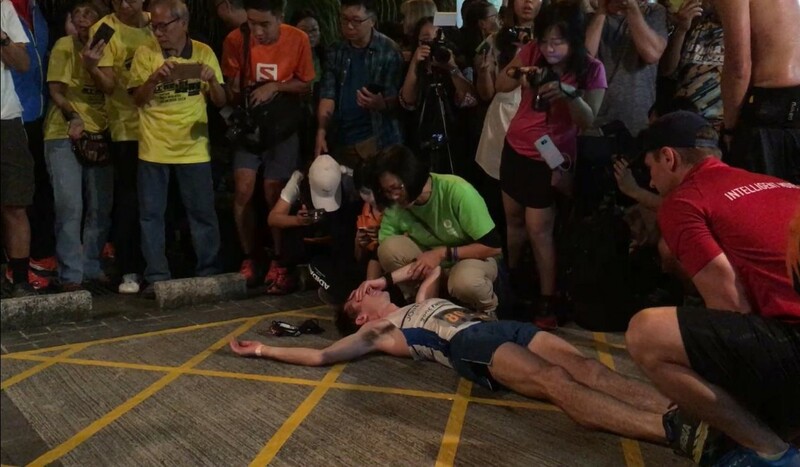 The distance, the final push and the “whole wow factor” got the better of him after they crossed the line, he said. He had to immediately move inside, away from the crowds, light headed. When they were 30 minutes behind he still had confidence in their pacing plan. Awoo captain Purna Tamang said they wanted a hat-trick of wins, ‘”but we are happy”.